Hunting at night is not as difficult as some people may think. It generally depends a lot on the gear you have, which is what makes all the difference. A trusty headlamp might be one of the most versatile pieces of equipment out there is to own. These tools are useful in daylight hours and sometimes they can help you see at dark more efficiently than during daytime and in the extreme situation, can even save your life. Are All Headlamps the Same? Not every model is suited for hunting and even some models designed for it may not have all the features that you need. While the most relevant aspect of a headlamp is how bright it is, this trait can also depend on certain conditions, like the environment and the type of game you're searching. Choices with large light outputs are ideal for moving around outdoors because they let you see better but may not be the best option to spot animals in the distance, as they can be scared away by the intense brightness. Multiple colored lights are used to cast a broad beam over a field which can let you spot different figures, including eye reflections. This is often more efficient than hoping for the best while pointing your everyday flashlight at something as certain animals tend to be colorblind. It’s generally suggested to carry two sources of light, one for utility purposes like moving around and another one for the actual hunting purposes which can work better on a field or a stand. At the end of the day, it is essential for the lamp to be bright. This trait depends on what advertisers call luminous flux or lumens. The higher this trait is, the broader the beam is. This is, in essence, the range the device can reach. Different factors like output and even the climate play a role in what you see. Generally speaking, the brighter the model, the more distance it can cover. Being in an outdoor situation and especially hunting, puts your equipment to the test. Good quality products always stand out from low-quality ones in terms of how much they can take. Weather and temperature can completely render a device useless. Your choices should reflect on the type of environment you’ll be in. Just because something is expensive doesn’t mean it is good or vice-versa. With the right amount of knowledge, you can decide on gear that can make you more efficient. If the idea is to hunt game, then there’s no need to take a shot at your pocket. Not all products are the same, and some offer different features here's a list with the most outstanding headlamps and their features. While the essential feature of the headlamp is how it illuminates the areas surrounding you, the utility it brings to the table is also important. This feature is where the product shines, as it can also protect you from cold weather and the rain. It comes with four different LED beams, each with 48 lumens. It’s designed to illuminate the immediate ground in front of you, so you don’t lose your footing, making it great to traverse the land. It comes with batteries included, and although they aren't rechargeable, they have an impressive average of 68 hours of life, so you don’t have to concern yourself on how soon it will run out of energy. The beanie has a switch inside of it, but unfortunately, the energy cell pack can be somewhat uncomfortable to wear for extended periods. The light beam range has an average distance of 72 feet. The product can be hand washed but never put it inside a machine as it can damage both the LED and the circuit. 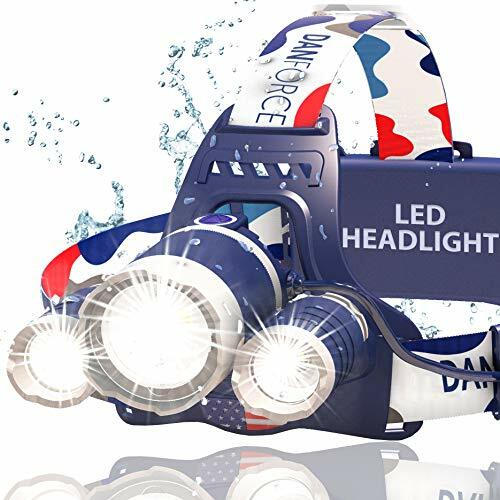 If the weather is a concern, then this is an excellent headlamp as it lights up a considerable amount of distance while keeping your head warm. Its battery lasts for an incredible amount of time making it a reliable product. 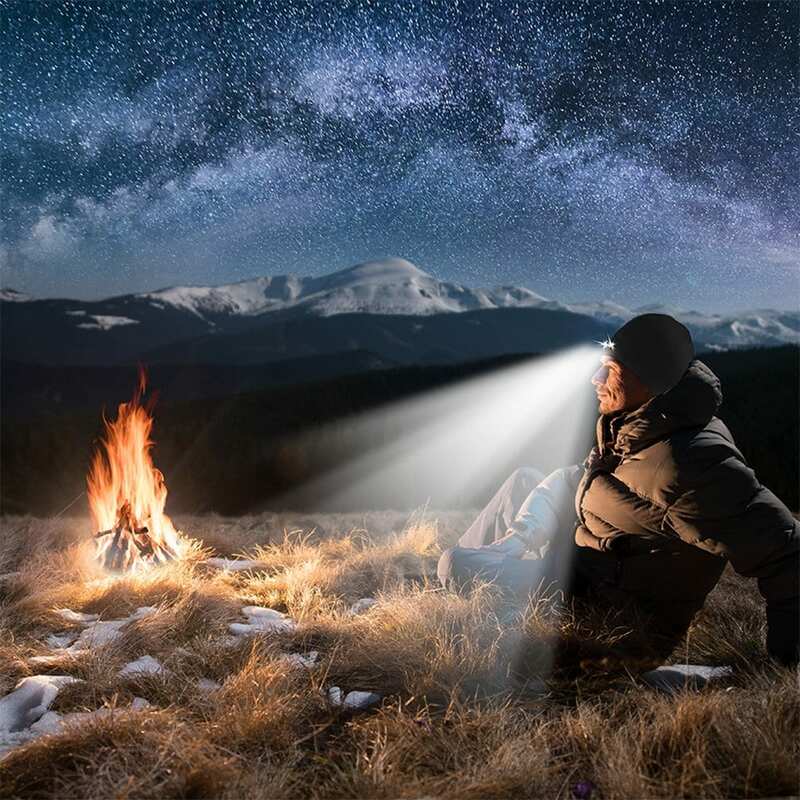 This portable sun has three LED beams and an incredible total of 6000 lumens which mostly outclasses, not only a significant number of headlamps, but also flashlights on the market. Aside from its incredible luminous flux, this product has an IPX4 water resistance rating, meaning it can withstand rain and comes with a waterproof switch. The light can be rotated 90 degrees, so it accommodates better to your needs. With four various modes, low, medium, high, and strobe, this device can be fitted for many activities while keeping your hands free. It is critical not to replace the batteries with other types and always to use a 5W/1A charging adapter, as it can occasionally short-circuit. In terms of battery life, it can last for about seven to eight hours depending on usage. The energy levels can be measured by an indicator that lights up in different colors. The beam is zoomable to reach longer distances or can be adjusted to cover more ground. The model can be uncomfortable to wear at times as the battery pack is big. The whole kit, aside from the headlamp, includes a charging USB cable, a user manual, and a portable case. 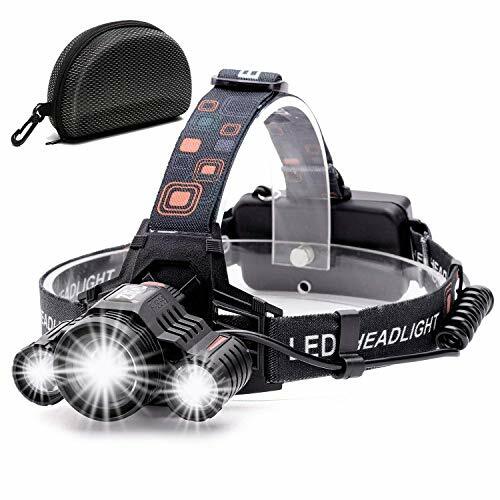 This is a sturdy product in terms of its illumination, meaning that it’s by no means subtle if used for hunting but can offer you great utility and vision. You won’t have difficulty seeing whatever you point this light at. Its many functions and features are also a welcome addition to an already excellent product. The Genesis Pioneer 16 LED Headlight comes with adjustable headbands to fit you better, making it one of the most comfortable products on the list. It’s fitted with a 16 LED light that has a luminous flux of 30. While it is not as bright as other options on the list, it does comes with a set of different features that make up for it in term of utility. It uses three AAA cells and has an average life of ten hours so batteries should be easy to find and replace. In this case, it is recommended to always carry some spare cells with you to avoid running out. The beam can be adjusted to fit different angles depending on what you’re doing. This is an excellent alternative if you're looking for a more utility-driven product as it is comfortable to wear and can do the functions any flashlight can with the added benefit that your hands can be free. If it's about features, then this is one of those products that has it all. This product includes three LED bulbs with a total of 1080 luminous flux that can help you move around with ease. It’s better suited for outdoor activities given its strong weather resistance. The lamp is not only rainproof, with a water-resistance level of IPX4 but can also withstand hot weather, making it an ideal choice for many types of environment. Depending on your objective in a nocturnal situation, it’s advised to carry two separate sources of light, one for utility and another properly colored flood lamp, because bright lights can scare animals away. This model includes both red and white LED modules. You can carry less gear and still get the benefits of two pieces of equipment in one. This choice has four modes on the white option and two on the red version. The original beam of light can be narrowed or focused to fit different types of scenarios. In regards to the battery life, it can last for around eight hours on medium mode, but this depends a lot on the frequency of use. Even if you run out, the complete package comes with rechargeable batteries. It also includes an anti-sweat headband that is adjustable for added comfort. The beam can be moved to point anywhere on a 90-degree range. Unfortunately, the product’s durability leaves a lot to be desired, and excessive use may result in malfunctions. The good news is that it has an impressive seven-year warranty, so you’re covered either way. The broad array of features, plus the high-quality illumination that it incorporates, make this a compelling choice, even if the durability may be put under stress with continued use. The seven-year warranty should keep you covered and with a clear path ahead of you. 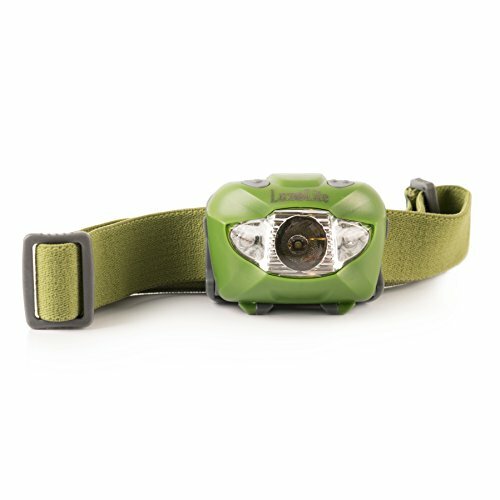 If you’re looking for a product specifically designed for spotting instead of versatility, then you should consider this headlamp, as it has one of the best ranges on a hands-free multi-colored choice. The model includes four different LED modules. This trait is an essential aspect for hunting as various animals generally don’t perceive or see the same as we do; they’re often colorblind to certain colors. With this option, you can be covered to tackle each specific task you may be planning on undertaking. The beam can be focused or narrowed to flood areas of different sizes with ease as it has a total of 250 luminous flux. This choice offers the right quantity of utility with its adjustable brightness level. The complete set includes rechargeable batteries, which can last for a considerable amount of time. 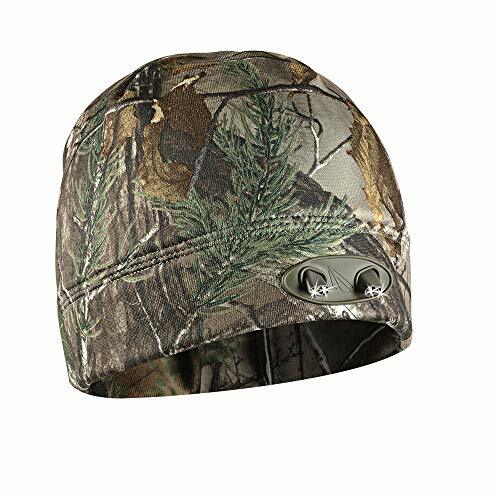 It’s an all-around, lightweight, straightforward choice that can be purchased in three different styles, one of them being a camouflaged alternative. The model's green light offers the utility that is lacking in other alternatives, and it can illuminate a considerable amount of space with the bonus of being a hands-free product. On the darkest day or on the blackest night, no target shall escape your sight. 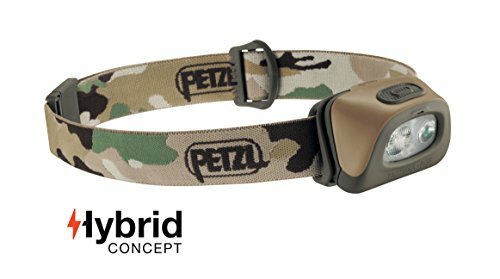 Unlike some devices, this headlamp offers a more hunting-centered experience. The multi-colored LEDs give it the versatility some other choices may not have, even though it falls short when it comes to its other traits. Aside from how bright a beam may be, a good headlamp is composed of the different features it offers you. This Luxolite product doesn’t fall behind, as it has six different modes and an integrated red light for specific hunting situations. It has a luminous flux of 168, and the manufacturer claims that it can illuminate up to a range of 300 feet, more than a football field. It has separate buttons for each module so that you can be more stealthy. As expected, the headband is customizable to achieve a more comfortable fit on your head. The most iconic feature in this model is its six different modes, four in the white module and two in the red. In terms of brightness, this model has a water-resistance rating of IPX6, so it can be submerged in water for a small amount of time. Therefore, no worries if it happens to fall on a body of water. It uses AAA batteries, but they don’t last as long as in other models. Resistance to the elements is essential during any outdoor activity as well as the utility this headlamp can give you. Its two light modules to give you versatility, provided you bring a few spare AAA batteries should you run out of energy. 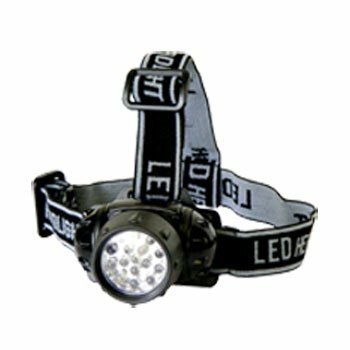 Are Headlamps Important While Hunting? Generally speaking, if you’re hunting, you may be carrying a weapon. Some people may argue that a light accessory is better on your gun, but during night time, it can easily get caught in branches and be impaired by the terrain, hindering your mobility. The most comfortable way to carry a light output is on your head. Night hunting is a challenge in itself, but the right device can make the difference between a successful hunt or a waste of time. Being able to see in the dark is not only a matter of versatility, but survival. The quality of the product you own can help you avoid dangerous situations and help other people locate you should the situation demand it. If you’re going to be moving or standing for several hours, it is of utmost importance that you feel comfortable while doing it, especially with something you’re wearing on your head. A good quality headlamp won't interfere much with what you’re doing, and in the best of cases, you won’t even feel it. Being hands-free is an excellent bonus of owning a headlamp, but it’s the other features you get that make the product a must if you desire comfortability and mobility while moving around. They can even be used for any situation outside of hunting where light may be needed.